FLDS members spread across southern and central Utah but still stand apart. 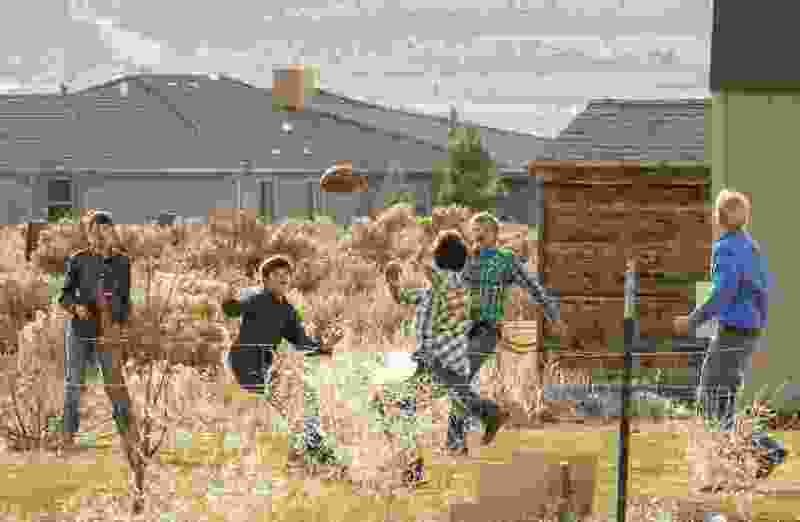 (Trent Nelson | The Salt Lake Tribune) A group of boys in long-sleeved shirts play backyard football at a Cedar City home where members of the polygamous Fundamentalist Church of Jesus Christ of Latter-Day Saints are purported to live, Wednesday November 8, 2017. Cedar City • Leslie Memmott liked her new neighbors. So she suggested they join her for a movie night. They don’t watch movies, the neighbors explained. How about everyone get together to play cards? Memmott countered. They don’t play cards either. But the neighbors had another idea. “And they said, ‘Well, maybe we can have a barbecue,’ ” Memmott said. Memmott’s new neighbors are members of the polygamous Fundamentalist Church of Jesus Christ of Latter-Day Saints — many of whom are leaving their traditional homes along the Utah-Arizona line over a dispute with the land trust that owns the homes where they lived. The members have settled in other communities across southern and central Utah, where they have rented and purchased homes. Trent Nelson | The Salt Lake Tribune An industrial site in Kanarraville run by members of the polygamous Fundamentalist Church of Jesus Christ of Latter-Day Saints, Tuesday May 23, 2017. 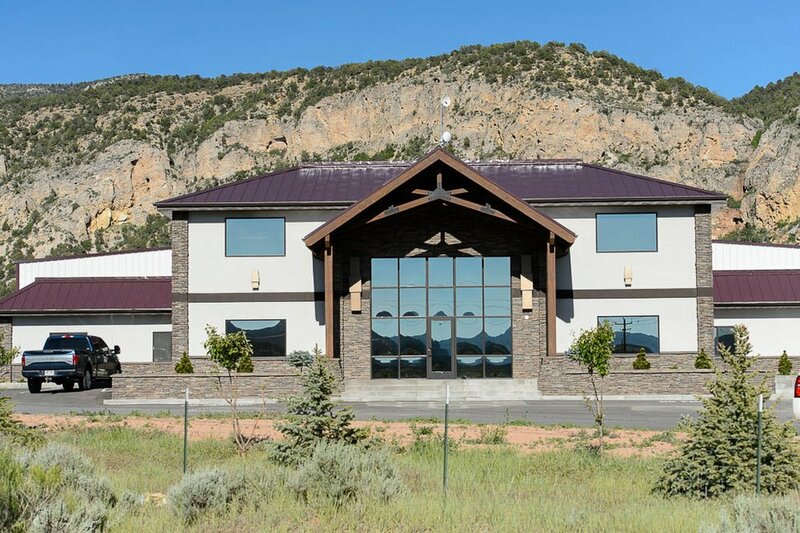 FLDS members in recent years also have constructed a custom metal fabrication factory in Kanarraville, opened a pizza restaurant in Orderville and won a contract to provide the concessions at baseball diamonds in Beaver. There is no official count on how many people have relocated. It’s not even clear whether the number is in the hundreds or thousands. FLDS leaders do not speak to reporters, and no relocated members agreed to be interviewed for this story. That reticence echoes a theme articulated in interviews with the FLDS members’ new neighbors and the local officials who find themselves with new constituents. The transplants have remained aloof and apart. (Trent Nelson | The Salt Lake Tribune) A young woman and boy at a Cedar City home where members of the polygamous Fundamentalist Church of Jesus Christ of Latter-Day Saints are purported to live, Wednesday November 8, 2017. The children appear to still be getting schooled at home. 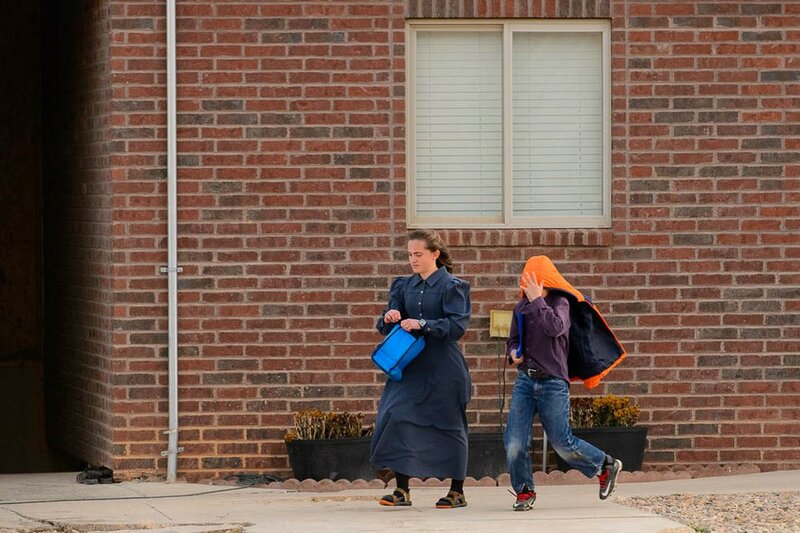 The FLDS members’ traditional attire, prairie dresses for the girls and women and long-sleeve shirts for boys and men, are now common sights in the towns where the members have chosen to live. “They have to be part of the community, but they kind of don’t want to be part of the community, it seems like,” said Elizabeth Dickman, a 33-year-old Cedar City resident. Dickman has seen FLDS members in grocery stores and fast food restaurants. She says hello, but her greeting is seldom returned. Maybe the FLDS children will grow up to be more outgoing than their parents, Dickman said. For now, she worries whether those kids are getting a good education. 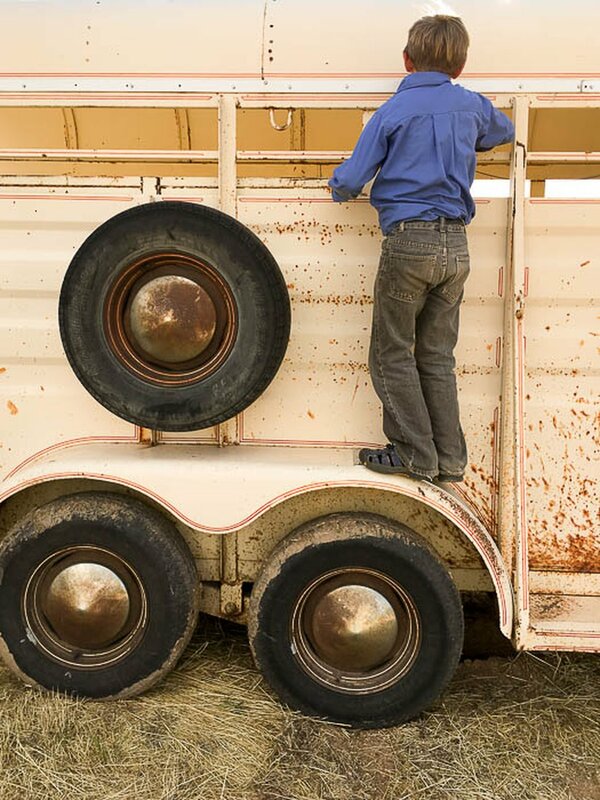 Trent Nelson | The Salt Lake Tribune A young boy climbs on a trailer at a home outside Beaver where members of the polygamous Fundamentalist Church of Jesus Christ of Latter-Day Saints were living, Saturday July 15, 2017. The FLDS’ reputation has preceded the members’ arrival in their new communities. FLDS President Warren Jeffs is serving a prison term in Texas of life plus 20 years for crimes related to sexually assaulting two girls he married as plural wives. Memmott said before her new neighbors arrived, she read a book by a former FLDS members describing abuses and crimes within the sect. Yet, people seem to be open-minded toward their new neighbors. “I’m not going to judge them based on the actions of Warren Jeffs,” said Annette Klassen, of Cedar City. Klassen says FLDS children take piano lessons from the same teacher who taught her daughter how to play. Klassen also volunteers at the soon-to-open Church of Jesus Christ of Latter-day Saints temple in Cedar City (the dedication is set for Dec. 10), and she saw FLDS members taking a tour during the open house. The LDS Church officially abandoned polygamy in 1890 and excommunicates members found practicing it. In some communities, there have been conflicts. “They just live a different lifestyle,” said Paragonah Mayor Constance Robinson. She estimates 40 to 50 FLDS members have moved to her town in the past six months after buying just a few homes. Robinson and others in Paragonah worry that too many members are living in the homes. “You can drive right through town and see where they live because you’ll see eight or 10 brand-new trucks or vans parked in a row,” she said. The town does not have a municipal sewer system; everyone has a septic tanks. Robinson worries FLDS members are saturating the ground with water from too many loads of laundry, too many showers and too many flushes of the toilet. The mayor is concerned that could put other homeowners at risk for septic problems. There also was an FLDS family that was adding bedrooms to a garage, but didn’t get a building permit, she said. The building inspector served a notice to stop, but the work continued, Robinson said. Kids from FLDS homes sometimes appear to joyride on Paragonah streets aboard ATVs or tractors in violation of local law. The mayor said she has gone to the homes to talk to the adults about heeding ordinances. Only women speak with her; never men. “I’m not prejudiced against anyone’s religion, but their way of life worries me,” Robinson said. Iron County sheriff’s Lt. Del Schlosser said his office has had some interactions with FLDS members in the past year or so. Most were calls common to the general population, such as loose dogs or ATVs on the road. A few cases stood out. Schlosser said there have been multiple complaints about underage drivers that have turned out to be children from FLDS families. There also have been cases of FLDS members opening fire hydrants and spraying hundreds of gallons of water at a time into water tanks fixed atop trailers. Schlosser said one citation has been issued over the water; he’s not aware of any issued over the suspected underage driving. Schlosser said the sheriff’s office has a good relationship with the FLDS members who have moved into Iron County. The members cooperate with deputies, Schlosser said, and if deputies can’t find someone they are seeking, they know how to contact a few FLDS leaders for assistance. “If we do have issues or problems, they are very good to address them with us,” Schlosser said. 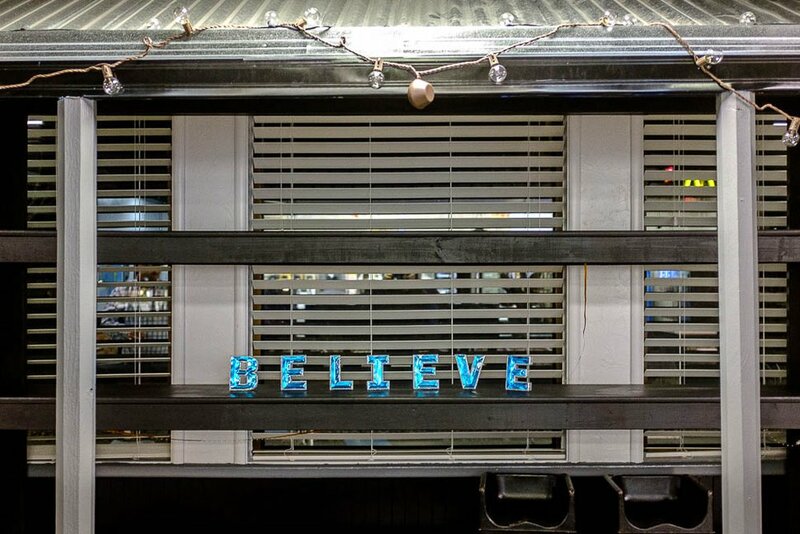 (Trent Nelson | The Salt Lake Tribune) The word "believe", on display at Craigo's Pizza, a restaurant run by members of the polygamous Fundamentalist Church of Jesus Christ of Latter-Day Saints, in Beaver, Wednesday November 8, 2017. FLDS members have built at least nine homes In Beaver in 2017, said City Manager Jason Brown. Before building, FLDS members came to his office to inquire about building codes and what was allowed and required. The builders have done a good job following those codes, Brown said. “They’re good people just trying to provide for their families, just like I am,” Brown said. Memmott refers to FLDS members the way a lot of people in Utah do — as “polygamists.” They live on two sides of her home southwest of Cedar City. At one home, the new residents erected a wall around the property before Memmott had a chance to introduce herself. So Memmott said she made a point to introduce herself at the second home. One of their sons played piano for her. That son later came to her home and he and Memmott played guitar together. The FLDS members brought Memmott a basket of canned and fresh fruit after she was in a car accident, she said. That proposed barbecue hasn’t happened yet, but Memmott said she likes her new neighbors. Memmott’s advice to others when FLDS members move next door? This story was informed by sources in the Utah Public Insight Network. To become a news source for The Salt Lake Tribune, go to sltrib.com/upin.